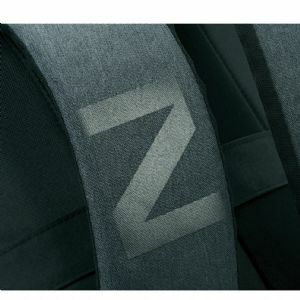 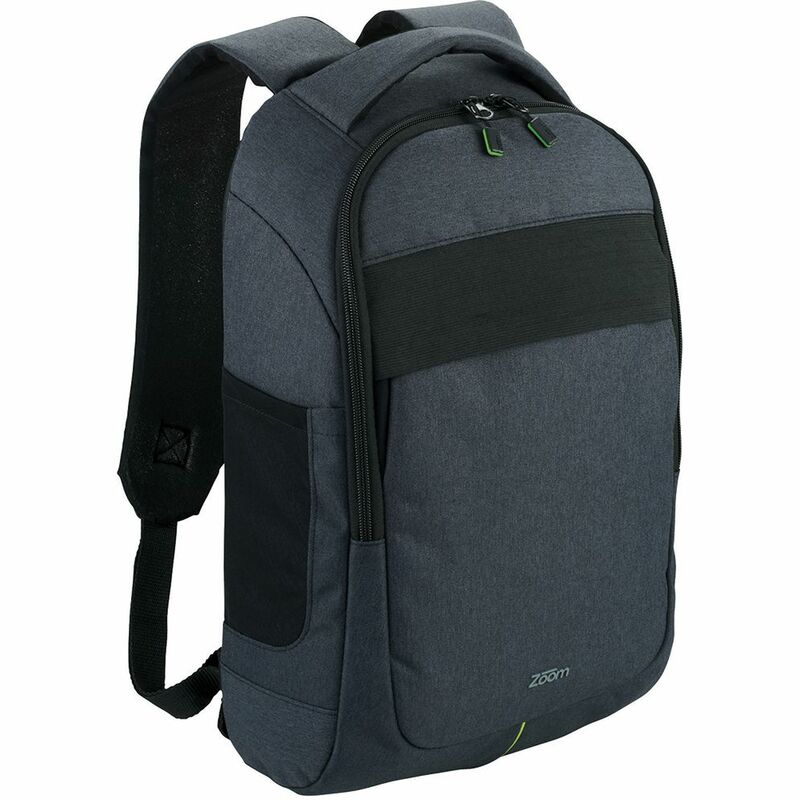 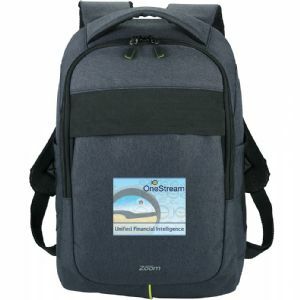 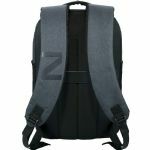 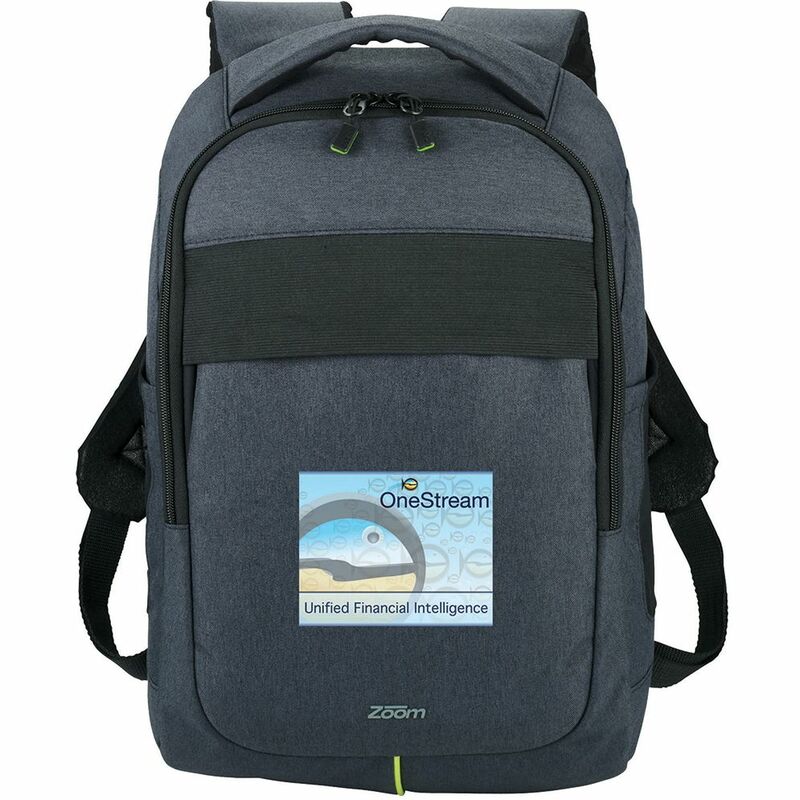 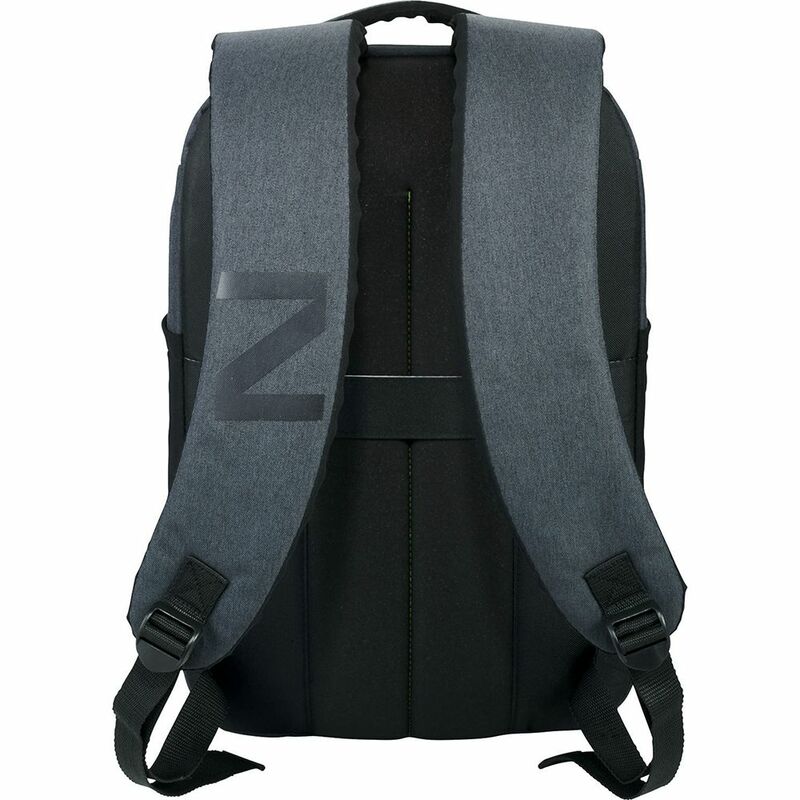 The Zoom® Stretch Computer Daypack is the solution for those that stretch the limits of mobile tech. 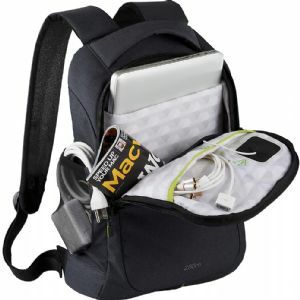 Main compartment features padded laptop sleeve that fits most 17 inch laptop computers. The outside of the bag features a front iPad/tablet pocket that secures with elastic and side pockets with stretch mesh for quick access to all your mobile devices. 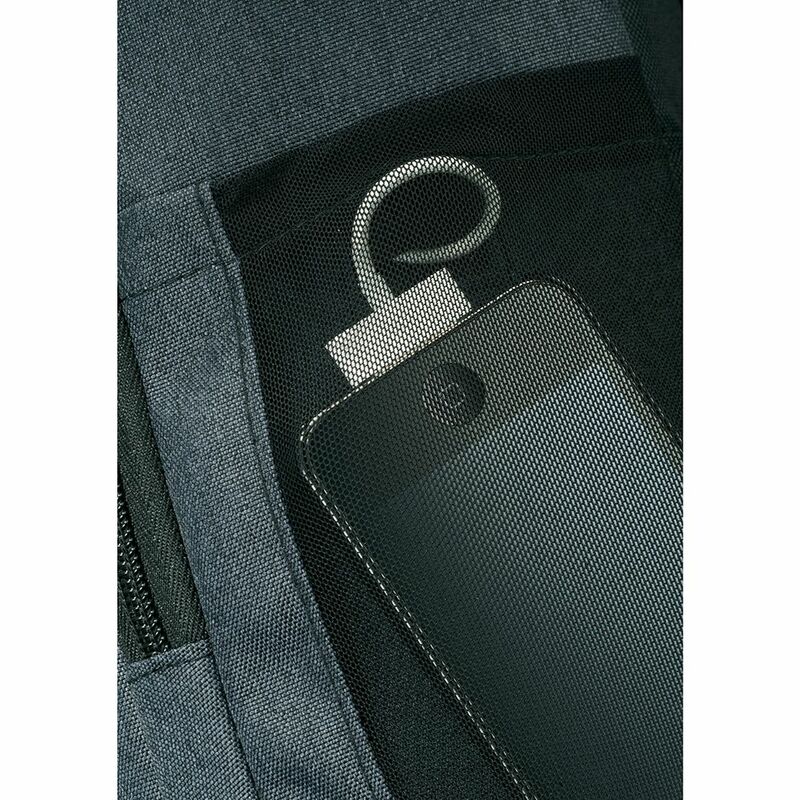 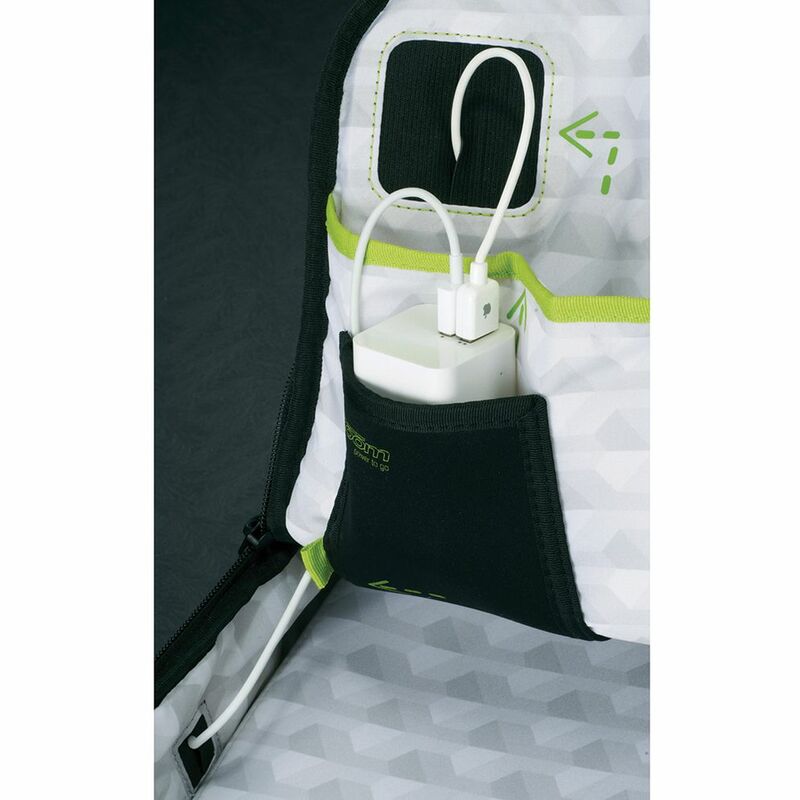 The main compartment features a dedicated neoprene pocket for mobile power that will fit most power solutions (not included). 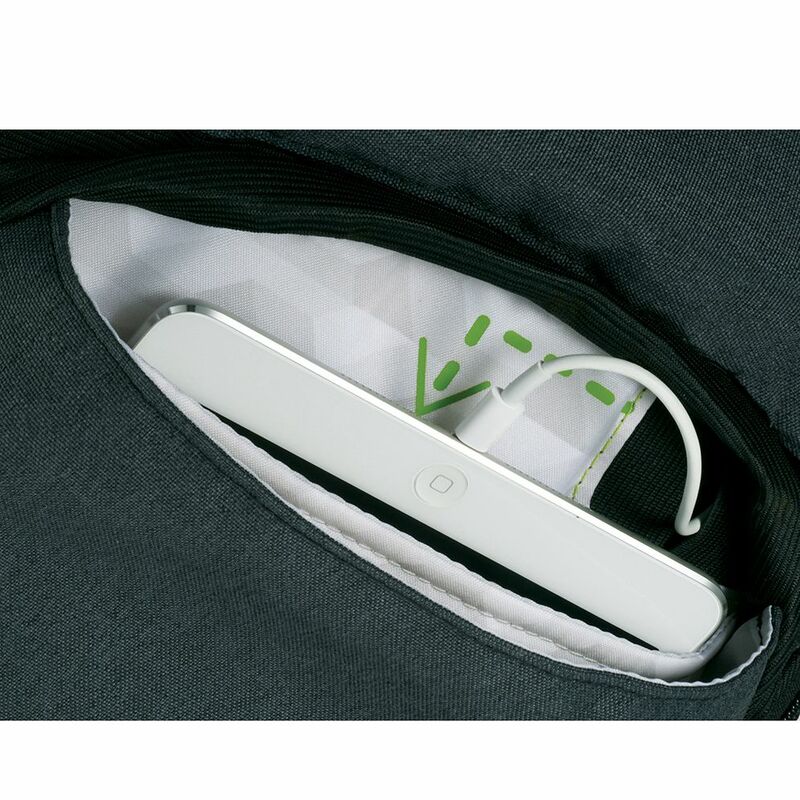 The smart organization inside the bag allows you to power the devices while they are in the bag by providing ports inside the bag to the front organizer pocket as well as the side pocket. Also allows you to charge your power block without having to remove it from the bag. 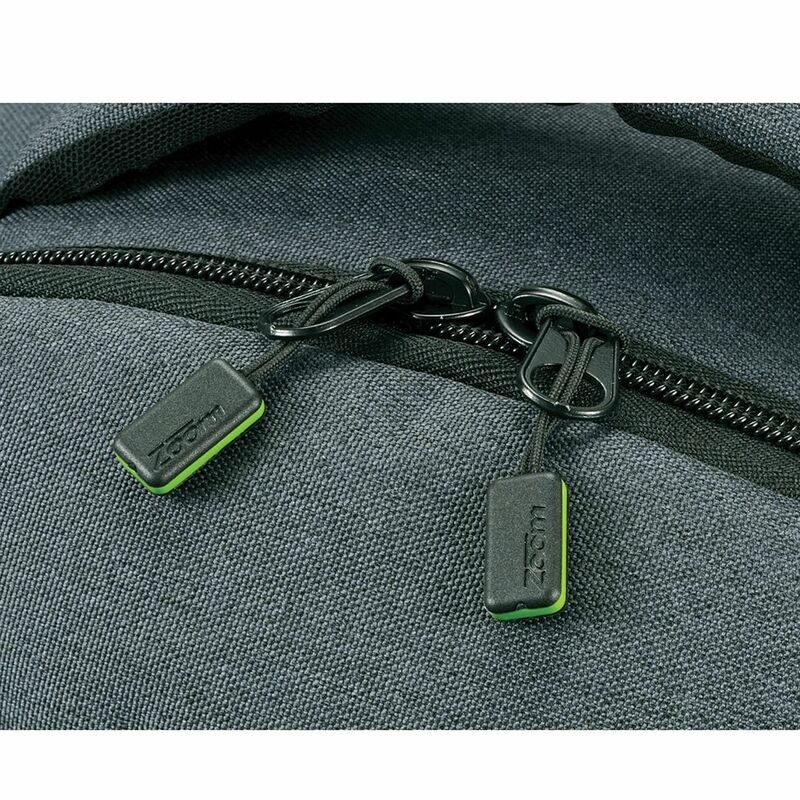 Rear adjustable straps and trolley pass-through.